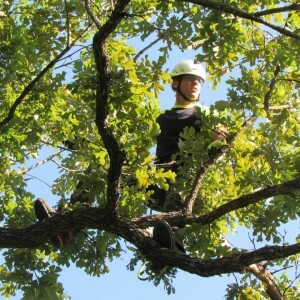 Jimmy Prichard, a second-generation certified arborist, founded Integrity Tree Care in 2001. His initial goal was to start the company and then, when he was financially secure, attend seminary. But he says God had a different calling for him: to stay with the company and hire a team of workers who hadn’t found a good career path until then. They now have a job and skills that will last a lifetime. We pride ourselves on learning everything we possibly can about tree health care. In fact, our staff includes two certified arborists, which means they are trained and knowledgeable in every aspect of arboriculture. The goal of Integrity Tree Care is to provide our customers with the best job possible — and at the same time, to help educate you about proper care. We want your trees to thrive for years to come, so it’s helpful if you know a bit about the life of your trees. We’re happy to share more in regards to our company so you can learn more about us. 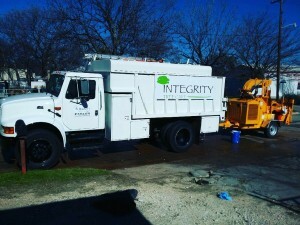 Integrity Tree Care, a Fort Worth company that has been serving customers in DFW for about 14 years, takes pride in every job we do. Contact us today to put us to work! 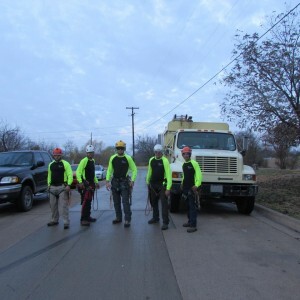 Integrity Tree Care specializes in a wide variety of services, including low-impact tree removal, tree pruning (also called trimming), stump grinding, cabling and bracing, tree fertilization and many others. But the cornerstone of any tree care operation is proper pruning techniques. Done the wrong way, pruning can truly harm your trees. Check to ensure that the company is fully insured. If something goes wrong on your property and they aren’t insured for it, your homeowner’s policy will most likely be responsible. Their safety equipment matters! Make sure the team is wearing hardhats, safety goggles, earplugs while using machinery and cut-resistant pants. Be wary if the company says it uses ladders to get into trees. Most reputable tree care companies don’t use ladders, because they pose a safety risk. Want to learn more about us? Integrity Tree Care is a Fort Worth company you can trust for all of your aboriculture needs in the Dallas/Fort Worth area. We enjoy our work and are highly skilled at it, so contact us today to get started.